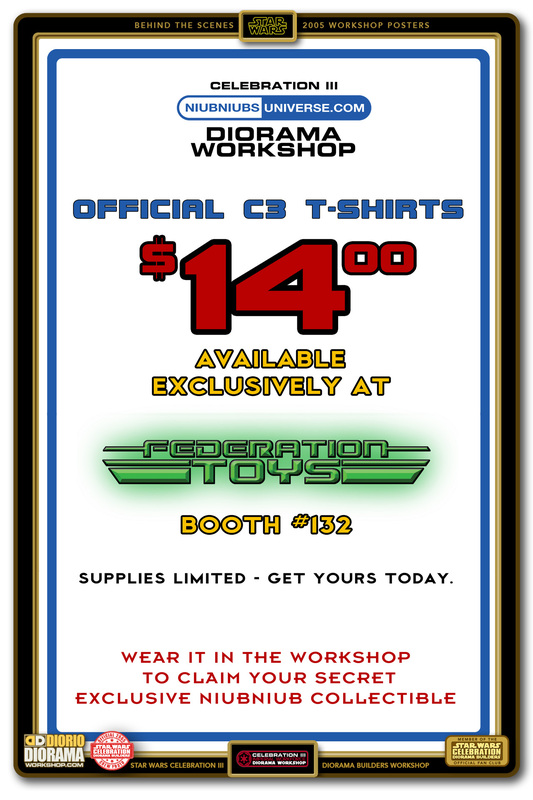 Celebration III was still a test for me to see if the first workshop was just a lucky strike or a one hit wonder. So I didn’t create as much artwork as you see in today’s workshops, but here are the 2 mini posters that were in the booth for the Diorama Builders archives. You can click on the image to see it’s larger native size. Frank. The 2 main posters in the booth this year was to announce what booth you could find our T-shirt for sale, looking back, this shirt was so basic compared to what we give away now. For those of you who may not know, NiubNiubsUniverse was my first original diorama website that I launched back in 1999 ? 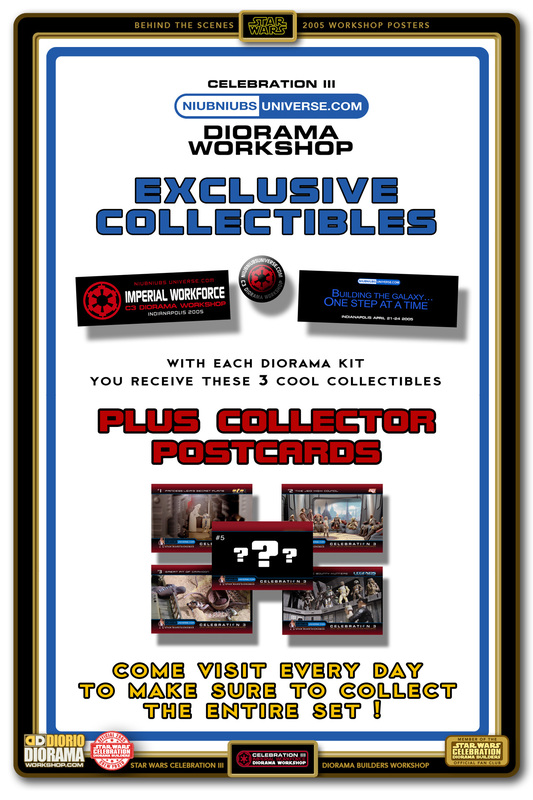 In 2010 I changed the name to DioramaWorkshop.Com so that we can showcase more than only Star Wars dioramas. The 2nd poster was telling the fans what FREE SWAG giveaways we had in store. You can see more details about the items in the 2005 DIORAMA BUILDERS SWAG GIVEAWAYS post.